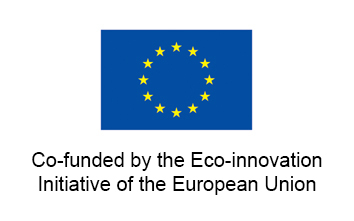 The WETNET project - which is going to receive financial support from the EU Eco-Innovation programme - will bring to market an innovative low cost flow-meter and control system to enable the European water companies to improve greatly their capacity to master distribution networks in detail, cutting down energy costs and emissions and making better use of the resource. BRE Elettronica (www.bre.pisa.it) and Ingegnerie Toscane (www.ingegnerietoscane.net) developed an innovative hot-tap insertion (in-pipe) flow meter that allows easy installation in pressurized pipelines. Prototype field test proved the sensing concept viable, along with its multi-modal telemetry (data communication network) and the scalable service model. The WETNET system has been designed to allow flexibility, incremental deployment and size (number of sensors) scalability, co-existence and/or integration with existing measurement and control systems - including communication infrastructures - minimal maintenance (MTBF > 3 years) during an acceptable operational life time (> 5 years), to be replaceable and have a very low end-of-life impact. WETNET supervisory services allow a wide range of data elaboration and presentations (from simple alerts to simulations and predictions) to support decisions. The WETNET flow-meter, the communication subsystem (RTU and networking) and supervisory software will be produced to comply with market needs and certification-accreditation requirements and the European Technology Verification. The WETNET work programme is arranged to ensure good management, substantial achievements and wide dissemination of the results. The activities that substantiate the project's purpose will scale up both the WETNET components and the production and maintenance process. After engineering WETNET components the system is brought from pre-production to production grade ensuring that WETNET system specifications, engineering plans and test, measurement and calibration procedures comply with market needs. Meanwhile the overall production processes are set in place for a standardized production cycle, with special attention for the test and measurement and calibration steps and for installation and maintenance arrangements that must be well geared with the sales cycle. The real scale installation, which is 100.000 equivalent persons, will extend WETNET system over 50 nodes. Dissemination of results will help spreading and marketing the same approach in Europe and abroad starting from Spain and Portugal. The WETNET project will be brought about by B.R.E. Srl (Pisa, IT), Ingegnerie Toscane Srl (Firenze, IT), Bimatik Sas (Milano, IT), ITG - Instituto Tecnologico de Galicia, A Coruña, ES). ITG (www.itg.es) will develop the markets of Spain, Portugal and Latin-America, while Bimatik (www.bimatik.it) will address Italy and South-East Mediterranean regions. WETNET should become soon a de-facto good practice for monitoring existing water distribution grids in few years. Better use of natural resources: reduced energy consumption. The first real scale installation in Pisa, monitoring the entire distribution network will cut down energy needs and emissions by 843 MWh and 337 tons of CO2 and spare 2.3 billion litres of water each year.